Last year Sony's PlayStation 4 took the ultimate prize. Who will it be in 2015? The answer is in your hands, readers, and by casting your vote, you give yourself the chance to win one of four Acer Chromebooks. It's been called the Oscars of Tech and the Iron Throne of Gadgets. 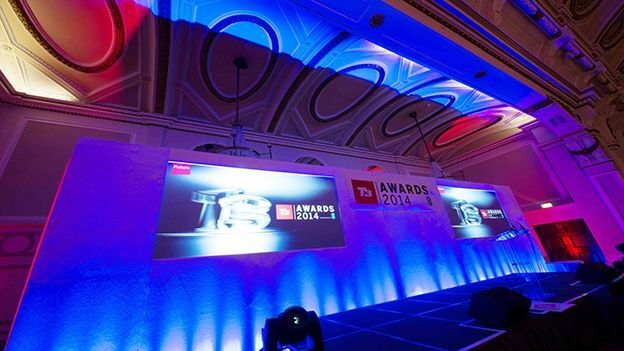 Now, the voting starts on the T3 Awards 2015, with over 100 nominees across 13 categories, covering everything from smartphones to cars and from gaming to wearables. As usual, there's an inducement to vote above and beyond the satisfaction of helping your most prized tech to reach Award-winning status. Vote and share socially and you'll be automatically entered into a prize draw to win one of four Acer Chromebooks (UK residents only, other terms and conditions apply). The longlist voting runs until July 9, and then you get to do it all over again (with another chance to win prizes) when the shortlist kicks in. The Awards will be presented in September at a glittering paegent of tech-based backslapping at London's fashionable Connaught Rooms. Previous star guests have included Sir Alan Sugar, Sir James Dyson, Sir Jason Bradbury and the rest of the Gadget Show team, and many more. But there's a long road from today to the Awards ceremony, and we need you to metaphorically push us along it with your votes. So get stuck in, and may the best tech win.